When I am driving around town my eyeballs are constantly scanning the area for new and interesting things. Or at least new to me. I had to run an errand during my lunch hour and as I was driving west on Ridge Road, I spied what looked like a little shack. I bet it used to be a photo hut back in the day. But now it is an Outlaw Potato Shack! U-turn!!! 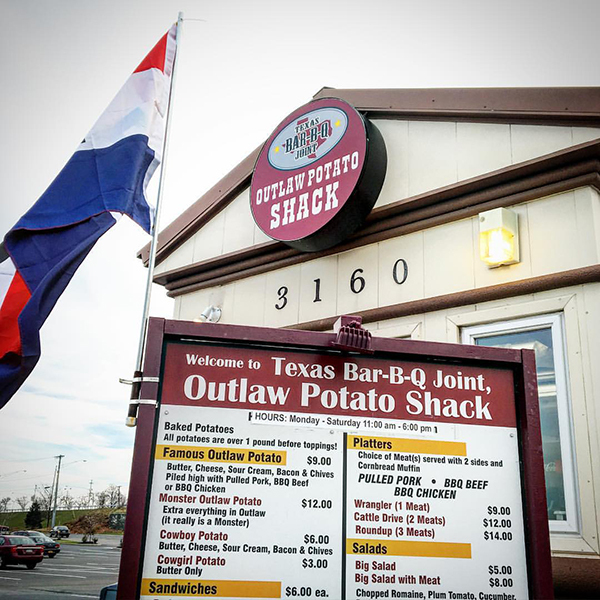 I went back to check it out and ended up slowly cruising through the drive through window to order my own Outlaw Potato. It is a thing of beauty. The potato is one pound before they even start adding the toppings. And oh, the toppings. 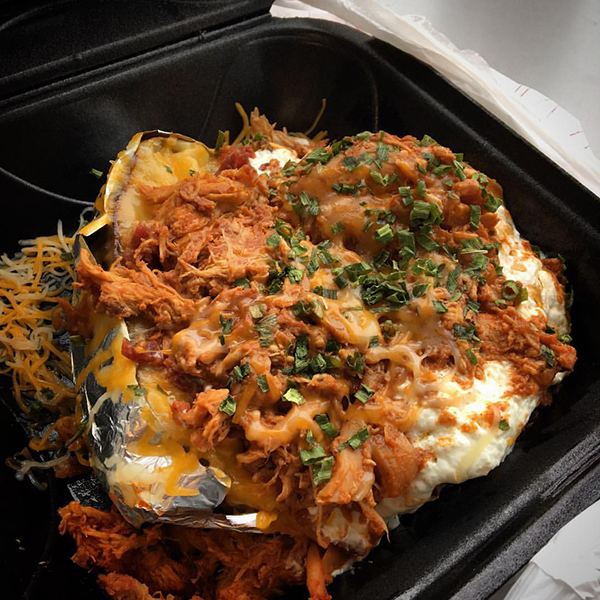 Butter, chives, cheese, sour cream and your choice of pulled pork, beef or chicken BBQ. There is enough there for lunch, a snack and dinner. Heaven in a take out box.